When you get tired of my blog, cruise on over to see Carlos Baena's site! 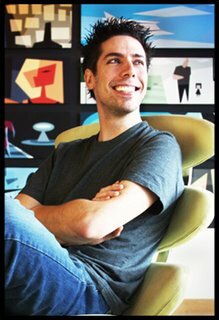 He's a fellow Pixar animator and one of the founders of AnimationMentor.com. He's also a crazy Spaniard with a passion for animation and filmmaking. He's been posting tons of interesting stuff lately (unlike me) so check it out!